We are embarking on a journey to a distant world, a world governed by strange and unfamiliar laws. Distant = far from everyday experience, distant not in space but in size. The actors/characters in our drama, are atoms, electrons, photons, etc. 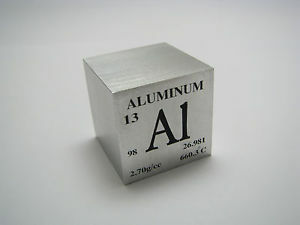 One inch cube of aluminium... 10^24 aluminum atoms. 100 million aluminum atoms on each size. Grain of fine sand. A large truckload of sand is a trillion grains of sand. Extremely small relative to ordinary scales. Not just a miniature copy of macroscopic world (world of our experience). In the microscopic/quantum world, there are LOTS of surprises. The quantum world is the WORLD we live in. about the world we see everyday. Mechanics is the branch of physics that studies force and motion. How things move, why things move... The laws governing motion in the world. The way things in the universe EVOLVE over time. That is ALL mechanics. Classical mechanics - theory of mechanics based on Newtons laws of motion (late 17th century). Things describes the idea that the basic constituents of nature are discrete indivisible units. 1 or 2 or 3 units, but not 2.718 units. quantity of things, how many things do we have? Digital view - 1 or 2 but not a whole continous range of values. Stuff idea says that the basic constituents of nature are smooth continuous substances. You can have any amount of stuff. How much do you have. Analogue picture of the world, you can have any value. Sand dunes smooth and continuous. It is difficult to resolve. Atomists - Democritus -- atoms... atoms in the void. Aristotle - basic stuff of the world is infinite and indivisible. You can divide it further. Aristotle said , Nature abhors a vacuum. So there much be a substance the fills all space. Ordinary everyday observations are not enought to resolve the question. 2 ideas - issaac newton -- stream of discrete stream of corpuscles in straight lines. red, blue green corpuscles... intensity corresponded to the # of corpuscles. Thing like. Huygens - continuous wave .. propagate through space and spread out, like sound. Different wave frequency like musical notes and the intensity was the strength of the wave vibration. Intensity can be any value = How much, Stuff. Wavelength = how far is it between successive wave crests. Concert A = 3/4 of a meter (successive regions of high pressure). Frequency = how rapidly do the oscillations reach a particular point in space. Like how rapidly do the oscillations in air pressure reach my ear. # waves or cycles per sec... Concert A = 440 waves / sec. Wave equation shows frequency and wavelength inversely proportional. 19th century - successful synthesis of these two ideas. Matter is discrete and thing like... John Dalton - each element composed of one type of atom. Atoms combine to make molecule. Atoms explain SO many chemical and physical things. Fundamental idea of chemistry. Boltmann..Gas explained in terms of gas being made atoms, PV=nRT. Gas is a swarm of tiny particles moving according to Newtons laws of motion (KE average temp). Heat energy random motion of atoms. Kinetic theory of gases united Thermo (study of heat) and Mechanics (study of motion). 1st Great advance of science in 19th century. Pattern of light and dark bands (interference fringes). Light waves emerge from each of the two slits. Arrving in unison, oscllating together is constructive interference. Two waves that add up to form a bigger wave or brighter light... Dark bands - exactly out of sync. Destructive interference. One slit no interference.. Like one and two norm... negative probabilities. If light were a stream of corpuscles, this could not happen. Light is a wave because of constructive and destructive. What sort of wave? What is waving? Maxwell - light is a travelling oscillation of electric and magnetic fields. Theory of light (optics) and theory of electromagnetism became united. Enough triumph of 19th century. Matter - thing-like, and Light stuff like (1900). Next thing was relation of thermodynamics with light (hot objects emit light). Kelvin says there are two dark clouds on the horizon of physics. These two dark clouds each turned out to be a hurricane. Michelson and Morley -- what is light? Distubances of soemthing called ether. Pervades all the universe. We know its there because light propagates through space. FAILED to detect ether. Special theory Relativity. radiation... Classical physics gives us badly wrong answers. Origin of quantum physics. ​2 solve the two clouds, the entire structure of physics needed to be changed. Thermal radiation... Think of a light bulb. Heat emits light... How much radiation emitted, at what frequencies? Object black in color. The more efficient an object is at absorbing light, the more efficient it is at radiating light when you heat it up. Black body perfect radiator of thermal radiation. At a given temperature, all black bodies (regardless of materials) radiate in the same way. Classical way of describing heat works ok for low frequencies like infrared BUT it predicts WAY too much high frequency like ultraviolet. Almost NO ultraviolet light in incadescent bulb..
Ultraviolet catastrophe - so badly wrong. Planck - something fundamental about heat and light because all emit same for different materials. Light only emits in discrete amounts... Energy related frequency. E=hv. h=6.6^-34 Joule-sec. Incredibly small number. E=hv tells us the size of light quanta... Seems continuous because so small. Higher frequency light has quanta that have higher energy. Its just harder for an object to emit an ultraviolet photon. Plancks hypothesis accounts for all details of black body radiation. Continuous waves usually do not act like this. Photoelectric Effect. - Shine light and electrons are emitted from surface of a metal. They could measure both the # and energy (velocity). Shining a brighter light, electrons still move at same speed. 1000x light, you will not have more energy in electrons, just more electrons. Energy depends ON THE FREQUENCY!!!! Electrons go faster w/ higher frequency. very puzzling, because energy in waves associated with amplitudes. 1905 - Einsteins year of miracles.... Relativity , E=mc2, photoelectric effect, brownian motion. Einstein realizes that Plancks quanta hypothesis amounts to thinking of light as a stream of discrete particles. Later called Photons. Energy of one photon is E=hv. Every photo-electron in metal, gets its energy from a SINGLE photon striking the metal. Some energy needed to pry electrons from metal, whatever energy left over the electron gets as speed. 2 slit experiment seems to prove light is a wave. Photoelectric effect seems to prove light is a stream of photons. BUT it is not just something funny about light. Heat Capacity - the heat energy needed to raise an objects temperature by 1 degree Celcius. How much energy do I have to add to an object that its temperature goes up by a degree. Low heat capacity - easy to heat up or cool down. High Capacity, hard to heat up or cool down. Classical - All pure solids should have about the same heat capacity for the same number of atoms. At a given temperature, all atoms should vibrate with the same energy on average. Heat energy is random microscopic energy of atoms. Platinum atoms heavy vibrate slower... Carbon lighter, and in diamond vibrate faster. Behaves at expected at higher temperature. Suppose atomic vibration energy comes in discrete quanta of size E=hv. First appication of quantum physics to matter... NO LIGHT. to vibrate at ANY temp. Quantum result. -- high temperature there is PLENTY of heat energy for an atom to vibrate. Same solid at low temp... not enough energy for each atom to have one quantum.. some atoms will not vibrate at all. Since a lot of atoms not vibrating the heat capacity will be lower than expected. Depends of speed of vibration of substance. Diamonds have a high speed or frequency of vibrations... so requires MORE energy to vibrate. Platinum, massive, vibrations slower, frequencies slower. Room temp, plenty of energy. Einsteins idea agrees with experiement. 1st decade 1900's - quantum ideas. Black body radiation, photoelectric, heat capacity pure substance. In each case, energy comes in discrete units. the size of quantum is E=hv. Same plancks constant for everything. Black body, photoelectric, and heat capacity. UNIVERSAL... Applies to both light and matter. But we do not have the details yet. Universal Quantum Principle. Direct challenge to classical physics, because in classical, ENERGY can come in ANY amount. A continuous. Quantum showing that the Universe is Discrete in ways we never expected. Nature is discrete in ways we never expected and we'll see also that nature is continuos in ways we never expected. Every bit of stuff has a little bit of things and every bit of things has a little bit of stuff. Yin Yang of physics resolved in the torus. Wavelength of light less than a millionth of a meter. Wavelength of an electron in an atoms is less than a nanometer. Heavier a particle, the smaller the wavelength. So difficult to do interference experiements with larger objects. How large can we go? Neutrons, Entire atoms, entire molecules of 60 carbon atoms. Looks like a soccer ball. 60 vertices on a soccer ball. 5000 protons, 5000 neutrons and 5000 electrons,” they say. Link between particle properties and wave properties is plancks constant. Electron waves ... what is waving? Born Rule... Grandfather olivia newton john. A particle is in one place... A wave is spread out all over the place. The intensity of the wave at a point tells us the probability of finding the particle at that point. Wave intensity is proportional to wave amplitude^2. Measures in ordinary waves energy. QM only tells us the probability.. Outcome is random, QM fixes the odds. Large number of trials, a statistical pattern emerges over HUGE number of trials becomes a smooth wave. You can do same with light, one photon at a time. Dim light source, dark green filter and sensitive photon detector. The microscopic world is governed by the property of wave particle duality. These wave and particle probabilities are related in a couple of subtle ways. 1) Planck-Debrolie Relations - Wave and Particle Properties are related. E and p of a particle are related to the frequency and wavelength of a wave. If the particle has high frequency and momentum, it will have a high frequency and small wavelength. 2) Born Rule - wave intensity determines particle probability. In quantum mechanics, individual events are random. Everything in nature is thinglike and stufflike. Particles are discrete, energy is discrete. These waves are waves of probability and they are continuous. Atom would implode is less than a microsecond. Somehow there is a stability that classical physics doesn't predict. Why are atoms stable?? 1900 - atoms made of smaller pieces. Hard to figure out because so small... Blueberry muffin, electrons electrons in muffin. rutherford - solar system model of atom. Most of the mass is in a heavy central nucleus. Nucleus 100,000 times small than an atom. Electrons orbit around like planets. If you think in terms of classical physics... orbiting electrons show radiate emag waves.. they should loose energy and their orbits should spiral inward. Should take a microsecond. What is it that keeps the atoms from imploding. Niels Bohr. Bohr works for Rutherford. Only discrete orbits are possible. When an electron jumps from one orbit to another, it emits or absorbs a photon. Orbits are rungs of an energy ladder. Energy levels of an atom. Spacing between the rungs determines the energy (V(x)). Stable inner orbit... Bottom to the ladder. Rung to which there are no lower rungs. Predicted patterns of energy levels in Hydrogen. Look at light emitted by hot hydrogen, you get the same emission spectral Bohr predicted. It works but it is a bit fishy... Only Hydrogen. Did classic and quantum hodgepodge. Understood better with Debroglie matter waves... Standing wave patterns makes more sense of Bohr orbits. Stringed instrumentals... wire on certain frequencies possible. Stretched wire. Wind instruments - organ pipe, air in a tube, only certain sound frequencies are possible. Orbit in atoms like string in a violin.. Has certain frequencies, therefore only certain energies. Standing wave patterns around a nucleus are exactly Bohrs orbits. Schrodinger, detailed mathematical description of Debroglie waves. How electrons move and spread out in space. This equation is exactly what was needed in working out the details of atomic structure. Simply an equation about energy. Psi. Psi... wave function. mathematical object that corresponds to Debroglies waves. Wave intensity Psi^2 tells us the probability the particle is found at that location. 90% time learning to solve Schrodinger. This way to solve, this way to approx... big bag of tricks. We can skip, we want the big ideas, not the mathematical drudgery. What you get when you solve the schrondinger equation is standing wave patterns. Each standing wave pattern corresponds to a different energy level in bohrs energy level ladder. You jump from one level to another by absorbing or emitting a photon. -Explain energy levels in atoms and molecules. - explain emission and absorption patterns of light. - figure out not just photon energy... even probabilities of making certain jumps. Some frequencies more likely than others. Bohr could not explain why a jump from one orbit to another is more likely than another. So it predicts the intensities of different frequenices. Amazing story going... idea of wave particle duality. Extended by Debroglie. Interpreted by Born. waves are probability. Sophisticated mathematical theory by Schrodinger. Unexpected discreteness and Unexpected unpredictability (waves). Where does that lead? Beautiful insight of Heisenberg. The randomness of quantum mechanics sets a definite limit to the randomness of the microscopic world. ​Particles and waves very different. Particles have a definite position and momentum and describe an exact trajectory through space. They have a definite path. Every point in time it has a definite location. And path describes by Newtons laws of motion. A wave is different... A wave spreads out. Small slit = big angle... Wavelength should be bigger than slit size. Sound waves long... you and a friend by two doors... Sound waves larger than door. Larger than 1... Sound waves spread out. We can hear our friends voice because sound bends around corner. Light wavelengths million times shorter than sound. Light waves do not spread out through door. We can hear our friend but we cannot see our friend. You can hear your friend but not see your friend. BUT if you make your slit VERY small then you'll see diffraction. Narrower the slit the wider the pattern. The wider the slit, the narrower the pattern. We can do this with an electron. Strange behavior for a stream of particles. Wave diffraction sets a limit on how well the particle properties are defined. If electron passes through slit, we should know x the lateral position. We know x to a certain uncertainty. delta x = width of slit. After it goes through the slit, the electron could go to one side or the other. There is an uncertainty in the lateral velocity of the electron. Easier to talk about momentum. delta p is uncertainty in momentum. Wide spread = large delta p.
Tradeoff of position of electron and momentum. Smaller one is the larger the other one must be. That comes from diffraction. Universal uncertainty applies to everything. Basic tradeoff in nature. Heisenberg. Product of uncertainties > h/2. Take a large scale object... baseball... 12 to 15 decimal places and respect uncertainty. Can follow a well defined classical object. Electron = x can be no larger than the diameter of an atom. Uncertainty tightly confined by the EMAG force. We cannot even tell which direction the electron is moving. few percent of the speed of light. Uncertainty substantial because electron confined to a small space. How big is a photon? Photon carries a tiny amount of energy. What about its size in space? What is our uncertainty about its position in space. Light from laser is extremely well definited in wavelength or momentum. delta p extremely small.... for a laser the uncertainty in position is about a meter!! Small in what sense (energy/position), small compared to what (micro/macro)? Electron confined to an atom has a delta x very small since confined to an atom. But momentum can be all over the places upwards to a few percent the speed of light. Photon from a laser.. Because the lasers wavelength is so well defined the delta p is extremely tiny. So its uncertainty in position is very large... Maybe a meter more. Uncertainty of time and energy. Things that happen very fast, have very poorly defined energy. Photon from a laser very well defined in energy. VS the particle does not have exact values at ALL. Or the particle has a trajectory through space but we do not know it VS the particle does not have a well definited trajectory AT ALL. We don't know is a statement about our ignorance. There is more to find out with a better experiment. It does not have definite position and momentum says the Nature itself is truly fundamentaly , irreducibly and inescapably fuzzy and indeterminate. That statement requires a more radical revision of our thinking about the world. Natures own lack of definiteness. Center of long passionate debate... Bohr vs Einstein. Amplification form micro to macro -- Bohrs complementarity. ​different kinds of measurements involve different kinds of experiemental setups which result in different kinds of interactions. Different measurements are logically exclusive of one another. We can do one measurement or another but not both. Mutually exclusive physical arrangements of our laboratory equipment. Experiment to measure position is different than experiment to measure momentum.. Which experiement to construct ... which measurement to make. Problem is trying to fit together different pictures. experimental arrangement ---> what is being measured ---> how to interpret/which picture to use. What is the meaning of QM? Quantum mechanics applies to everything.